Fantasy fans looking for a fierce, ambitious female narrator need look no further. 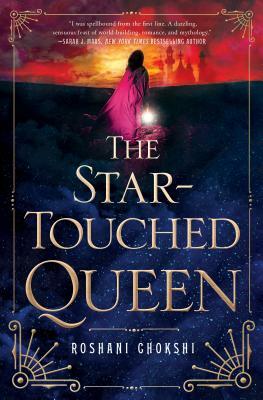 Princess Maya, scorned in her own kingdom due to a dark horoscope, is rescued from certain death by a hastily arranged marriage to the mysterious Amar, King of Naraka. On their fantastical journey to his kingdom Maya realizes that Naraka is a nebulous land that maintains balance between the Otherworld and humans. Before she can truly become Queen, she must navigate the dangers and lies that threaten not only Naraka and her growing feelings for Aman but her childhood land as well. Chokshi’s exciting debut novel draws on her Indian and Filipino heritage to weave an exotic and unique fantasy world that is intricately plotted and lushly described.